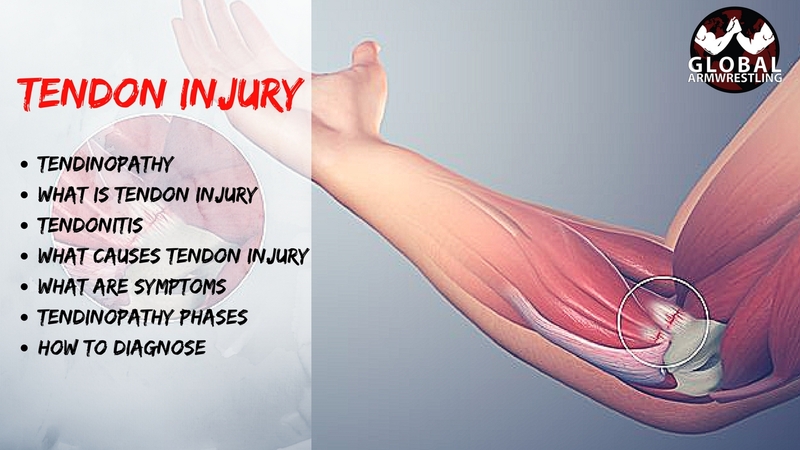 Tendinopathy (tendon injuries) can develop in any tendon of the body. Non-insertional tendinopathies tends to be caused by a cumulative microtrauma from repetitive overloading eg overtraining. 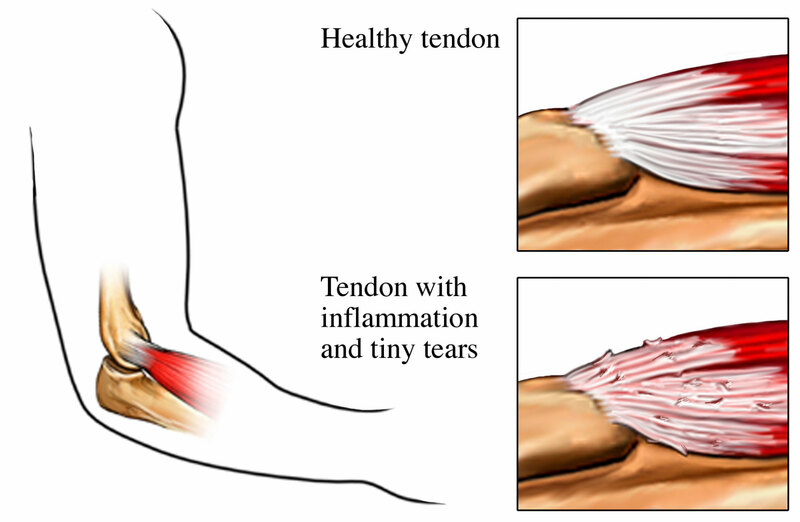 Tendinitis (or Tendonitis): This actually means “inflammation of the tendon,” but inflammation is actually normal tendon healing response which can cause some tendon pain. This is known as the reactive phase and is a good tendon healing response. The problem really occurs when you healing rate is less than your injury rate – known as tendon dysrepair – which is when tendinopathies can quickly deteriorate into the degenerative (cell death) phase. 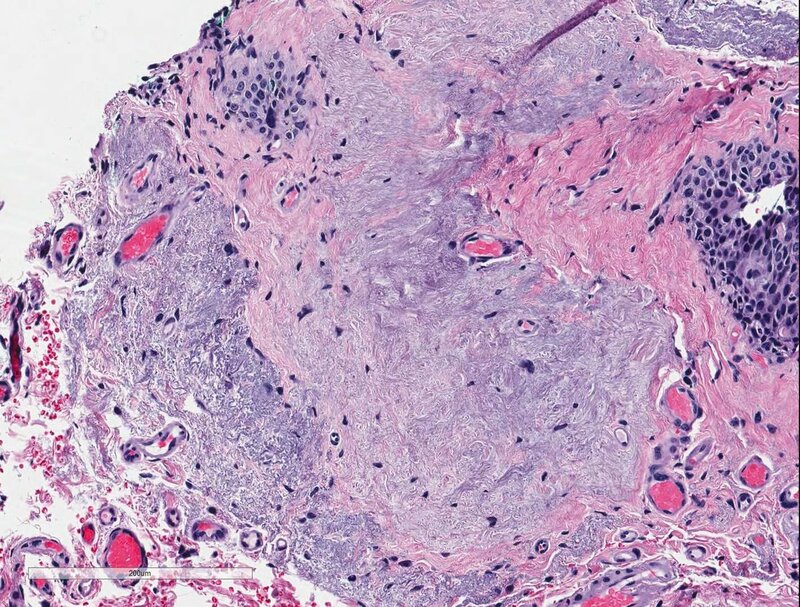 This is characterized by collagen degeneration in the tendon due to repetitive overloading. These tendinopathies therefore do not respond well to anti-inflammatory treatments and are best treated with functional rehabilitation. The best results occur with early diagnosis and intervention. Your tendons are designed to withstand high, repetitive loading, however, on occasions, when the load being applied to the tendon is too great for the tendon to withstand, the tendon begins to become stressed. When tendons become stressed, they sustain small micro tears, which encourage inflammatory chemicals and swelling, which can quickly heal if managed appropriately. However, if the load is continually applied to the tendon, these lesions occurring in the tendon can exceed the rate of repair. The damage will progressively become worse, causing pain and dysfunction. The result is a tendinopathy or tendinosis. Researchers current opinion implicates the cumulative microtrauma associated with high tensile and compressive forces generated during sport or an activity causes a tendinopathy. For example, in explosive jumping movements, forces delivered to the patellar tendon can be eight times your body weight. Cumulative micro trauma appears to exceed the tendon’s capacity to heal and remodel. 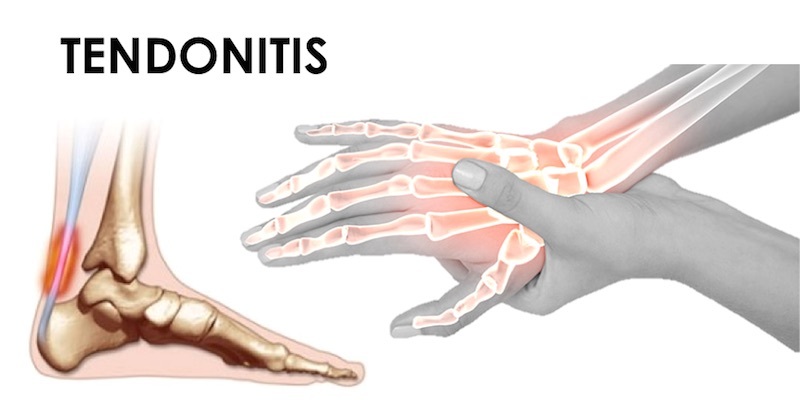 What are the Symptoms of Tendinopathy? The inability of your tendon to adapt to the load quickly enough causes tendon to progress through four phases of tendon injury. While it is healthy for normal tissue adaptation during phase one, further progression can lead to tendon cell death and subsequent tendon rupture. Prognosis: Good. Tissue is attempting to heal. It is vital that you prevent deterioration and progression to permanent cell death (phase 3). Poor Prognosis – Tendon cells are giving up! Surgery is often the only option. It is very important to have your tendinopathy professionally assessed to identify it’s injury phase. Identifying your tendinopathy phase is also vital to direct your most effective treatment, since certain modalities or exercises should only be applied or undertaken in specific tendon healing phases. To diagnose a tendon injury, your physiotherapist will ask questions about your past health, your symptoms and exercise regime. They’ll then do a physical examination to confirm the diagnosis. If your symptoms are severe or you do not improve with early treatment, specific diagnostic tests may be requested, such as an ultrasound scan or MRI.